Dr. Wiswedel is globally respected for pioneering fertility treatment in South Africa. 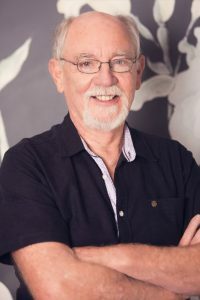 He was part of the team that achieved the first IVF pregnancy at Cape Town’s world-renowned Groote Schuur Hospital, founded the first private IVF clinic in Cape Town, and also pioneered South Africa’s first international egg donation programme, which achieved pregnancy rates of close to 80% on his watch. A registered specialist in obstetrics and gynaecology, as well as in reproductive medicine, Dr. Wiswedel headed the Groote Schuur Hospital/University of Cape Town Medical School infertility unit for about 10 years following his specialisation. First to use the non-invasive ultrasound-guided ovum pick-up method. First pregnancy from egg donation. First to trigger ovulation via GnRH-releasing hormone agonists. First pregnancy from oocyte vitrification, and first pregnancy after embryo biopsy. Dr. Wiswedel has published about 30 articles in local and international peer-reviewed journals, and has won several awards in recognition of his contribution to infertility research.